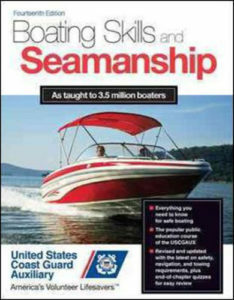 The program gives students the knowledge needed to obtain a boat license. Many boat insurance companies will offer discounts on boating insurance to boaters who successfully complete About Boating Safely. 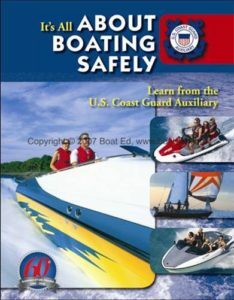 The U. S. Coast Guard Auxiliary's Boating Skills and Seamanship (BS&S) course is a comprehensive course designed for both the experienced and the novice boater. The U. S. Coast Guard Auxiliary's Sailing Skills and Seamanship (SS&S) is a comprehensive course that will prepare a sailor with the basic information needed to operate sailboats under a variety of conditions.